On Thursday, October 12th, the Women’s March tweeted out a USA Today article announcing that former presidential candidate Bernie Sanders would deliver an opening night speech at the Women’s Convention in Detroit, MI. It was no surprise that this announcement was met with an intense backlash. Many women took to Twitter to express their disappointment with a man who has decried identity politics and supported anti-choice candidates being given a keynote slot at the convention. @womensmarch @SenSanders To have a man open a women's convention is absolutely a disgrace. I'm embarrassed for you. Having a man speak at the opening night of the Women’s Convention is problematic in and of itself. While male allies are definitely welcome and wanted in the fight for gender equality, their role should be amplifying women’s voices, rather than giving their own speeches. The entire world exists as a sounding board for men’s thoughts and ideas — surely they can handle three days where the spotlight isn’t on them. And men, if this concept makes you angry — if it bothers you that I think because of your gender you should sit down and shut up for half a second — maybe you can start to begin to understand how women feel every single day of our lives. Not only did the Women’s Convention’s organizers pick a man to give opening night remarks — they picked a man who has a history of gas-lighting women (especially minority women) when it comes to their issues. Hell, even the womens march movement is centering a man who dismisses women's control of our own bodies as secondary. He openly backed anti-choice candidates and refused to consider how damaging and concerning such a stance could be to women. He continuously voted against gun control legislation during his time in the U.S. House of Representatives. He has dismissed reproductive rights as a secondary issue and called Hillary Clinton “unqualified” for the presidency. Highlighting Sanders after his divisive and dismissive comments towards women is a slap in the face to all those that showed up to the January march. It also serves to legitimize some of his most fervent supporters, a faction of which have continuously harassed those who speak in opposition to Sanders. Of course, it is primarily women of color who have received the most targeted harassment in these cases. However, what is most concerning out of this whole debacle is how the Women’s March organizers responded to the outrage. Instead of stepping back and asking why people who have largely supported them in the past were feeling so betrayed, they blamed the media for incorrectly framing the situation. And then they accused those who were upset of only reading headlines. And then they said they tried really hard by inviting Hillary Clinton, Kamala Harris, Elizabeth Warren, and Kirsten Gillibrand, who all apparently had scheduling conflicts. A PR team is responsible for setting the narrative the press runs with. If the organizers of this convention were unhappy with the media portrayal, why did they promote the USA Today article on their twitter account? Why did they wait until they received backlash to clarify their quotes which apparently misleadingly characterized their intent? Clearly, it was approved by whoever runs the social media account, therefore suggesting that either someone made a mistake in promoting the article or the organizers didn’t see a problem with how the event was characterized until after their reply to retweet ratio skyrocketed. Additionally, criticizing the reaction of these women flies directly in the face of everything this organization was supposed to stand for. 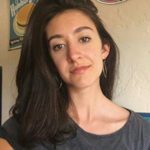 Instead of promoting a dialogue to discuss the concerns brought up by the Sanders announcement (and perhaps participating in some self-reflection as to why none of these concerns were considered before selecting Sanders as a speaker), the Women’s March organizers increased divisiveness by refusing to treat this outrage as valid. And lastly — you tried to find a qualified woman but just couldn’t? Hmm, that sounds familiar. This talking point is nearly offensive in its patronization. There were no other qualified female politicians or activists who could have spoken on the opening night? None of the more than 18,000 women who have signed up to run for office through Emily’s List since the election were available? In fact, why was a convention scheduled without making sure it at least attempted to cater to the schedules of four of the most impactful female politicians of our time? And, if Hillary Clinton was really invited, why did you refuse to include her as an official honoree of the Women’s March in January? When I marched down Pennsylvania Avenue the day after Donald Trump’s inauguration, I felt like I was part of history. The swelling activism that flooded the streets in resistance to the backward, damaging beliefs of the current administration gave me hope that even though we had failed the shatter that highest glass ceiling, women were done being silenced. Now, one more platform has been taken away from women and given to a man who uses the guise of progressiveness to promote himself, with little consideration to being a true ally in the fight for gender equality. If Bernie Sanders sincerely wants to “advance the progressive agenda” as he said in his statement on being a part of the Women’s Convention, he needs to rethink the way he is using his platform. He can start with giving his speaking slot to… I don’t know, a woman?